Il Ponte Mozzarella has been the number one choice for many cheese loving families for its delicate and fresh taste of milk. It is available in many different forms and varieties, the foremost being fresh mozzarella or mozzarella fresco. It is a type of mozzarella that is just been made and ready to be consumed at room temperature. Fresh mozzarella balls are sold in a brine, whey or water solution to help them retain their moisture and shape. 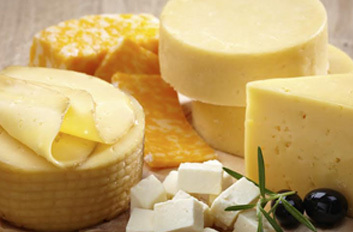 his cheese has a soft, moist texture and is full of milky flavour. Similar to other fresh cheeses, mozzarella fresco is high in water content and therefore low on fat. It has a slightly acidic or lactic taste. Compared to mass-processed mozzarellas, the freshly made variant is creamier and much softer. Il Ponte buffalo mozzarella is highly appreciated around the world Pecorino Pecorino is the name given to all Italian cheeses made from sheeps milk. Mainly there are 4 varieties of Pecorino. Pecorino Toscano which is from the Tuscan region and pecorino Sardo is from Sardinian, Pecorino Romano is from Lazio region and Pecorino Siciliano from Sicily. All of which has PDO protection. (Protected Designation of Origin). We have established a very good export market outside Italy. Parmigiano-Reggiano (Parmesan Cheese) Parmigiano-Reggiano,The king of cheese is produced exclusively in the provinces of Parma, Reggio Emilia, Modena and parts of the provinces of Mantua and Bologna, on the plains, hills and mountains enclosed between the rivers Po and Reno. This is the area hosting four thousand farms where the cattle are fed on locally grown forage. From these deep roots in a protected and respected environment, come the unique qualities, which characterise the king of cheeses.